Item # 311353 Stash Points: 8,295 (?) This is the number of points you get in The Zumiez Stash for purchasing this item. Stash points are redeemable for exclusive rewards only available to Zumiez Stash members. To redeem your points check out the rewards catalog on thestash.zumiez.com. 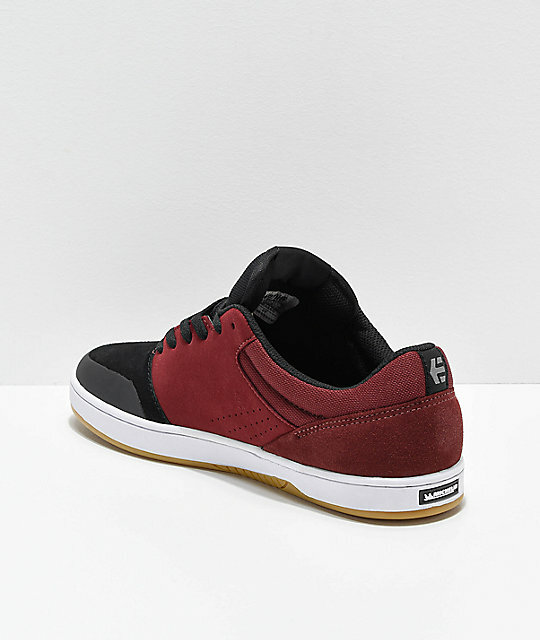 Tried and tested by some of the biggest names in skateboarding, the Etnies x Michelin Marana Black, Dark Grey & Red Skate Shoes are a feat in modern skateboarding innovation. Michelin racecar tire tread makes up these shoes' outsole for insane levels of grip, while the Foam Lite insole adds tons of cushion while cutting tons of weight. A PU molded toe cap adds durability at high abrasion areas and a breathable mesh lined interior keeps these shoes comfortable through all-manners of athletic activity. 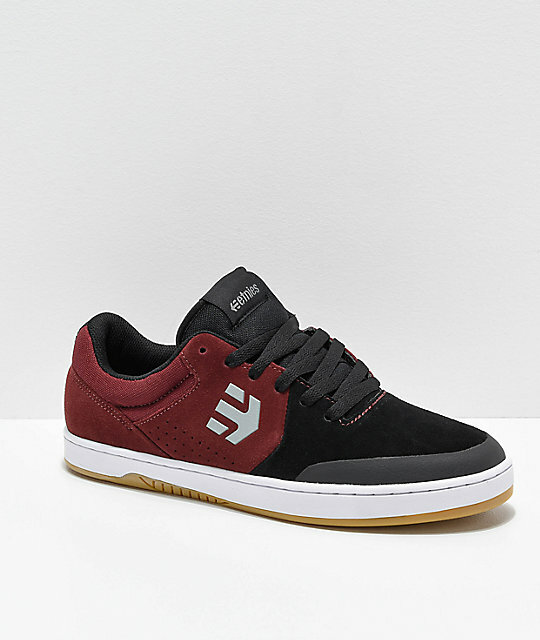 Marana Black, Dark Grey & Red Skate Shoes from Etnies x Michelin. Tested and approved by Etnies pro team, including Ryan Sheckler and Chris Joslin. Black suede upper with mesh trim along heel collar. Exposed STI Evolution Foam Midsole.